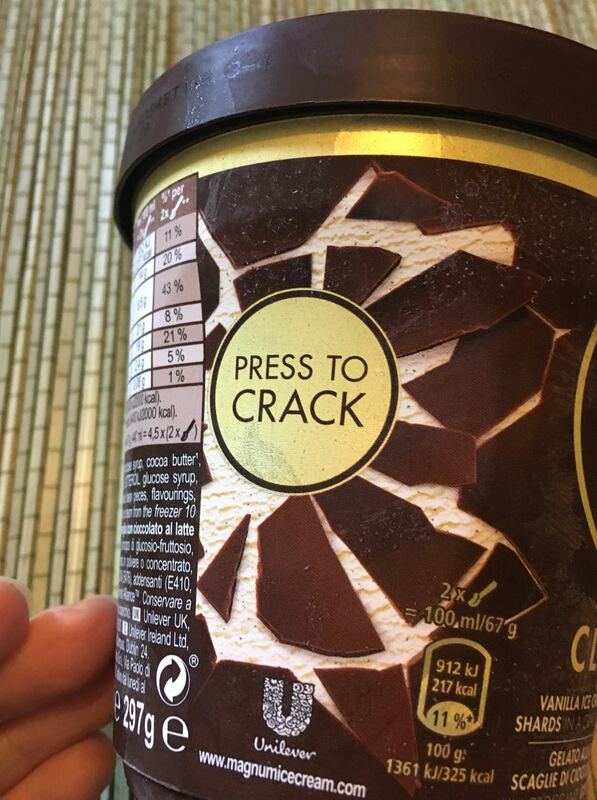 So this is the new ice cream in a tub from Magnum. Magnum Ice lollies are always coated in a chocolate, and this ice ice-cream is no different. 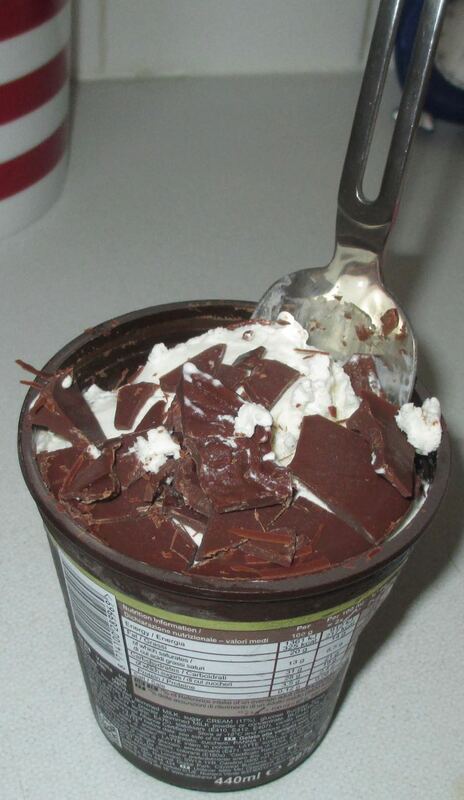 I know that sounds a bit weird, but inside the tub the ice-cream has a coat of chocolate all around it. 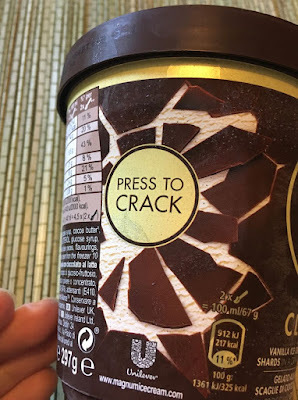 The suggestion on the pack is to squeeze the tub and crack the chocolate which I did. I could hear the foil under the lid making a noise when I cracked the chocolate, but it was still sealed when I opened it. In fact I found a sealed layer of thick chocolate under that too, which I had to break wth a spoon. 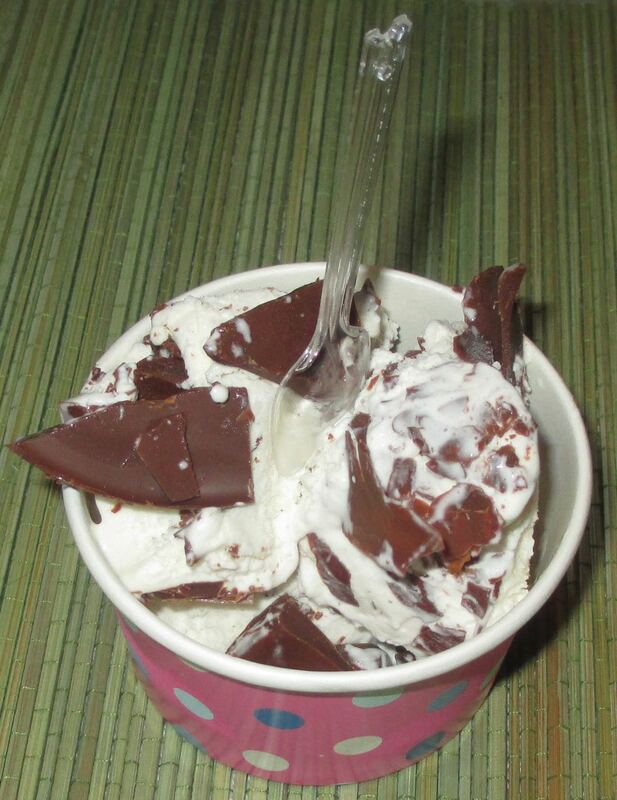 There is certain layer of novelty to the Press To Crack nature of this ice cream tub, but I have to say all that broken chocolate made it difficult to serve, and some chocolate was lost onto the kitchen surface. I found this a bit annoying to be honest, and thought it would have been fine for them to have pre-mixed all the chocolate shards in, they actually had already done that with some of the chocolate. Anyway I managed to share some out into pots, and gave it the taste test. I immediately forgave the difficulty in neatly serving the ice cream as the flavours were gorgeous. The base vanilla ice-cream was very creamy and very sweet, it had a lovely soothing feel and hit the spot. There was plenty of chocolate and the slivers of chocolate added a good mix of texture, which was satisfying to bite into. The chocolate added a lovely taste too, vanilla and chocolate do work rather well together (think Stracciatella) and its addition gave this a very luxurious feel. 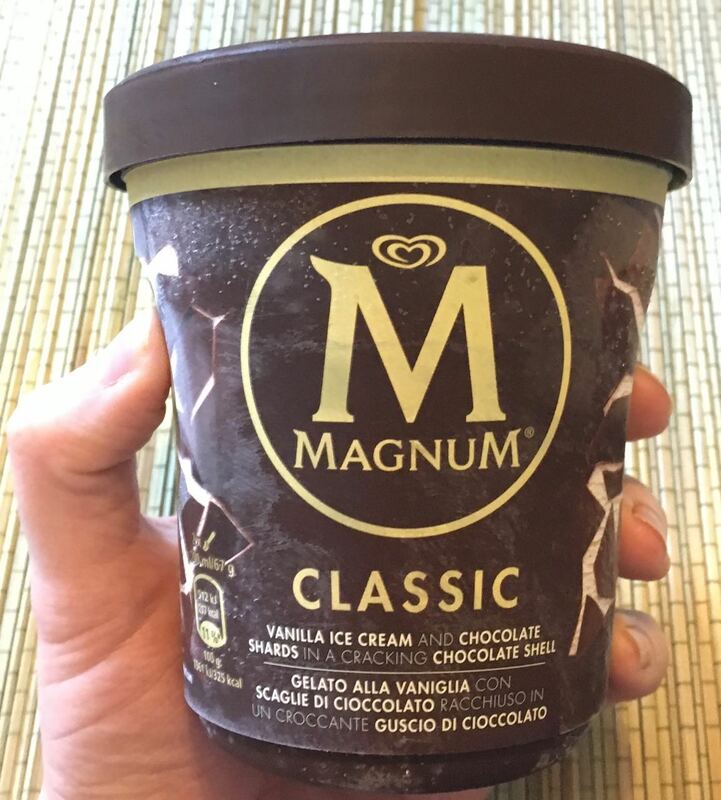 In short the odd nature of the Press To Crack is easily forgiven when you taste how good the ice-cream is, and this has put itself firmly on the buy it again list.